Bad side effects to taking safflower oil do exist, but they are rare. 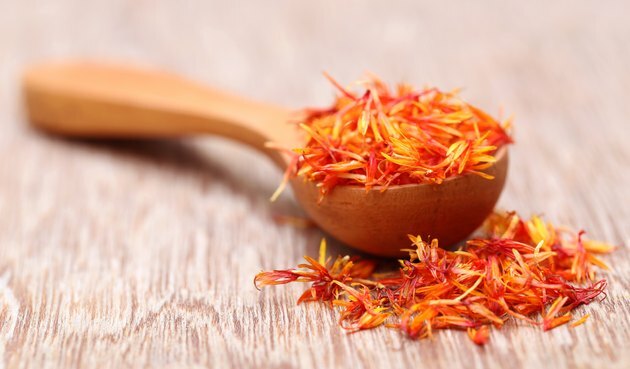 According to Wellness, bleeding, stomach problems and intestinal disturbance have been reported as adverse reactions after taking safflower oil. Safflower is used to treat symptoms of high blood pressure, diabetes, cystic fibrosis or fatty acid deficiency and as an anti-coagulant. The medical efficacy and side effects of safflower oil are open to speculation because results and opinions vary greatly between different clinical trials and studies. Safflower oil may trigger an allergic reaction in those with a sensitivity to daisies because it is part of the same family of flowers. An existing ragweed allergy could also mean you will have a sensitivity to safflower oil. Diarrhea, stomach cramps and vomiting may occur in patients using safflower every day. Nausea and an unpleasant aftertaste in the mouth are also associated with regularly taking safflower oil as a supplement. High daily doses of safflower can lead to a drop in blood pressure, and as a result, patients with hypotension should be cautious and speak to a doctor before taking safflower oil. Low blood pressure may fall to dangerous levels when taking the supplement, leading to a worsening of the condition. Changes in heart rate, chest pain and rapid breathing were reported in some patients taking a safflower oil supplement during clinical trials. This type of side effect is extremely rare, and it is not known whether other drugs may have affected the results and contributed toward these heart-related side effects. Care should be taken when using safflower supplements in addition to some prescription or over-the-counter drugs. Anti-coagulants, aspirin and nonsteroidal anti-inflammatory analgesics such as ibuprofen may increase the risk of hemorrhaging when taken with safflower. Seek professional medical advice before taking safflower if you have an existing medical condition or blood-related disorder. A study by researchers at the Department of Human Nutrition at Ohio State University found that a daily 8-gram safflower supplement was beneficial to patients with type 2 diabetes who took part in the trial; however, safflower may also interfere with diabetes management and blood sugar stability. Safflower oil may induce uterine contractions and start the onset of labor. It is therefore not recommended for use during pregnancy.